The Black Sea resort of Sochi has welcomed its first casino. Is this the start of a thaw within the Russian government towards new opportunities in the casino gambling landscape? [dropcap]T[/dropcap]he first casino in Sochi’s designated gambling zone, on the Russian Black Sea coast, held its official opening on 5 January, according to Russian Government-owned media sources, following the pre-opening of the parlour on 24 December. “Sochi Casino and Resort is a project with a unique concept for Russia in the spirit of the best casinos of Las Vegas,” said the operators, Domain LLC, in a statement. Set in a reconstructed Olympic media centre, the redevelopment was carried out by US-based Steelman Parters, who have previously managed projects in both Las Vegas and Macau. The new resort includes a casino with 70 gaming tables and 569 slots, two restaurants, a cabaret theatre, nine bars, in addition to boutiques. With the parlour able to accomodate 2000 guests at a time, it is expected that over 40,000 people will visit the entertainment complex every month, while the first poker tournament in Sochi is scheduled for 20 January, reports the Russian news agency Interfax. The head of Russia’s Federal Tourism Agency, Evgeniy Kudelya, suggests that Sochi’s gambling area will help address the issue of fluctuation in seasonal demand facing the region’s tourism industry. “Tourism traffic increased significantly during the last several years and the demand for holidays in Russia and particularly in Sochi is very high,” Kudelya told Russian news agency TASS last month. 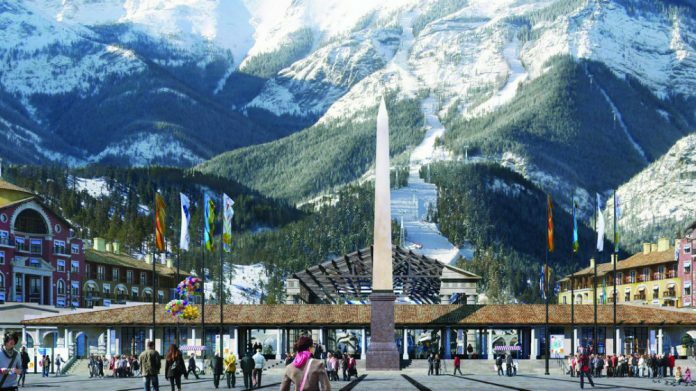 Opening of the casino and related infrastructure will provide new jobs for Krasnaya Polyana mountain settlement and extra revenues for Sochi and regional budgets, Kudelya added. Commentators suggest that the new gaming zone could benefit from tourism from a number of nearby states where gambling is prohibited, including Turkey, Iran, Iraq and Israel, provided sufficient investment is made in developing the venue’s public profile. Founded in 2015, by Mihail Danilov, Domain LLC expects to pay off its substantial 4bn rubles (€63m) investment within three years and also predicts that turnover from the casino will reach 4.6bn rubles in 2017, to be followed by significant growth over the next two years. It was late in August last year that Russia’s prime minister, Dmitry Medvedev, signed off on the establishment of the gaming zone in Sochi. Around the same time, the government also announced it would be shutting down the Azov City gaming zone by 2019, leaving Sochi as the only gambling zone in the Krasnodar region, a move which drew the ire of investors. The decision to move a gaming zone to an area with better infrastructure and links to the rest of Russia represents a shift in stance, given that the original intention behind the remote zones was to attempt to make it less accessible to Russian citizens. “The casino is a way of diversifying entertainment offering for our guests, giving us a further competitive advantage,” Alexander Saurin, CEO of the Gorki Gorod resort.